1st edition: 1991, St. Mary's Jacobite Syrian Orthodox Church, Los Angeles, California, USA. * An Expositive Study of the rich liturgical heritage of the Syrian Orthodox Church. * Emphasizes the scriptural basis of the Syrian Orthodox liturgy and faith. 1st edition: 2003, Lotus Publications, Trivandrum. The prayer book is translated, compiled and edited by Fr. (Dr.) K Mani Rajan of Kunnamkulam Simhasana Church. The text is based on the Pampakuda Namaskaram which is very popular in Malankara. A comprehensive and precise description of the Philosophy, History, Theology, Worship, Sacraments, Organization of the Malankara Church. Dr. P J Geevarghese M.D. Brief sketch of the Syrian Christianity in India - Church History, Outside Kerala diocese, Institution in the Church, Biographies, Important Pilgrim centers etc. History of the Syrian Church in India from the coming of St.Thomas to the separation of the Marthoma Church. 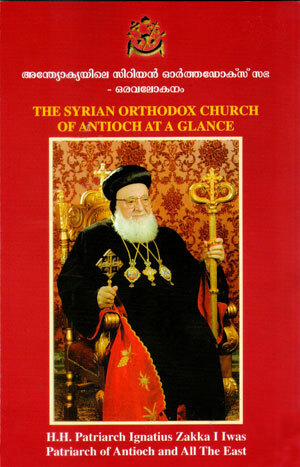 This is one of the most important books on the history and heritage of the Syrian Church. Directory of the Church with biographies of Holy fathers, articles on various Church institutions etc. Mor Gregorios Joseph Metropolitan, Secretary of the Holy Episcopal Synod. 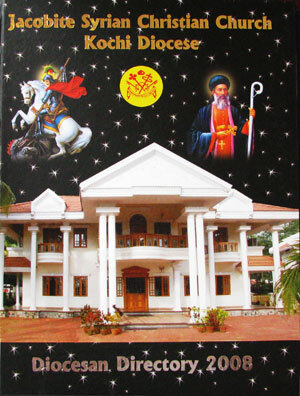 St. Gregorios Publications, Valakom, Muvattupuzha. History of the Syrian Church in the first 3 centuries - A very unique work. This book was authored by P P Joseph Semmasan, the father of the late lamented Baselios Paulose II, Catholicos of the East. This is the first printed history of the Syrian Christians of Kerala. 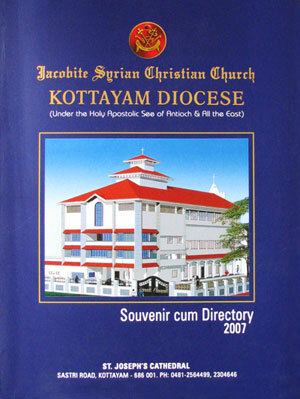 History of the Malankara Jacobite Syrian Christians. SURYANI CHRISTHIANIKAL NESTORIAR AAYIRUNNO ? Biography of former Malankara Metropolitan Paulose Mor Koorilose Kochuparambil (1917) and the Panampady Church where H.E. is entombed. Kerala - 686 001, INDIA. Kerala - 682 314, INDIA.